Home » Music » Musician » Who is the Father of Philippine Christmas Music? » Who is the Father of Philippine Christmas Music? Who is the Father of Philippine Christmas Music? His first appeared on the local scene as the host and singer of a television show called "9 Teeners" of ABS-CBN in 1966. His first single "Afterglow" was released in 1967. His first long playing album Deep in My Heart was issued in 1969. In 1973, he represented the Philippines in the World Popular Song Festival in Tokyo where his song "Can We Just Stop And Talk Awhile" went into the final entries. In 1975, he moved to the United States to run a branch office of their family's sugar business and remained there for 11 years. In 1986, he returned to the Philippines and went back to the music industry with the release of his album A Golden Collection. In 1989, he released his album Constant Change. It was named Album of the Year by the Awit Awards, the local equivalent of the American Grammy Awards and reached the Diamond Record in terms of sales. It also sold in other Asian countries such as Malaysia, Singapore and Indonesia. In 1990, his Christmas album, Christmas in Our Hearts was released. It reached triple platinum status that same year, eventually earning the Double Diamond Record Award in 1995. The significant popularity of his iconic Christmas songs and the album during the holiday season annually earned him the title of "Father of Philippine Christmas Music". In 1994 he released his eighth album, Thank You Love, where he has another song "Is She Thinking About Me" with Christine Bersola-Babao and another christmas song, "Christmas Past". His 2001 album A Heart's Journey won Album of the year in the Awit Awards. In 2005, he composed "We're All Just One" as the theme song of the (2005 Southeast Asian Games). In 2007, he released his 12th album Love Letters and Other Souvenirs. In 2009, He was inducted to the Philippines Eastwood City Walk Of Fame. 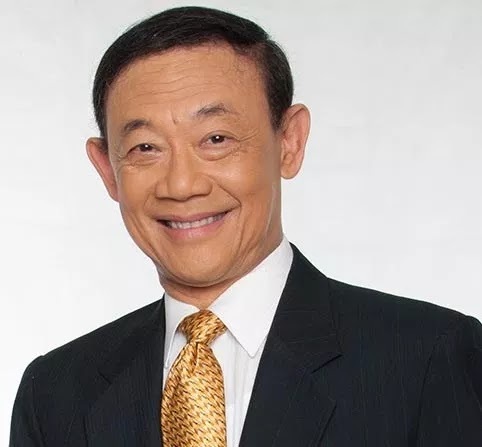 In 2011, he released his 13th full-length album, The Manhattan Connection: The Songs of Jose Mari Chan. The album, which was produced by Janis Siegel of The Manhattan Transfer. The songs were reimagined by music producer Yaron Gershovsky. In 2012, he released his 14th over-all album Going Home to Christmas. It was his second Christmas album after 22 years since Christmas In Our Hearts was released in 1990. In 2013, he guested in The Ryzza Mae Show. Christmas in Our Hearts was re-issued in 2015 to mark its 25th anniversary.